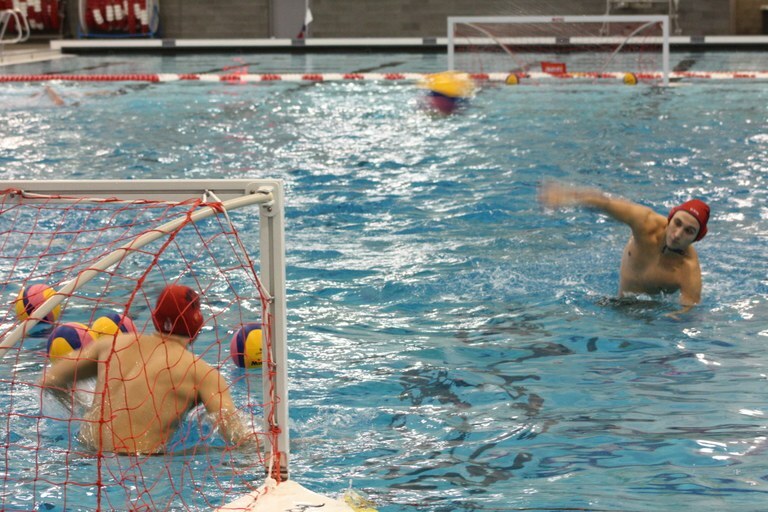 For the seventh year in a row, the Albuquerque Water Polo Club will host its annual tournament this weekend at the West Mesa Aquatic Center. This year’s event will feature some international flair with teams from New Mexico, Arizona, Colorado, Utah, and Mexico vying for the title. The tournament takes place Friday, September 28 through Sunday, September 30. The action gets underway at 2:30 p.m. Friday. Admission is free for spectators. Participating teams include: Duke City Aquatics (Albuquerque, N.M.), Albuquerque Water Polo Club (Albuquerque, N.M.), New Mexico Masters (Albuquerque, N.M.), Olympus (Salt Lake City, Utah), Pirates (Aurora, Colo.), Mesa (Mesa, Ariz.), Rocky Mountain Neptunes (Thornton, Colo.), Old Pueblo (Tucson, Ariz.), and Nuevo Leon (Monterrey, Nuevo Leon, Mexico). They will compete across six divisions: 10&U Co-Ed, 12&U Co-Ed, 14&U Co-Ed, 16&U Co-Ed, Open Women, and Men’s Masters. For more information including a schedule of matches, visit www.albuquerquewaterpoloclub.com. For more information on the City’s aquatics programs, including swimming lessons, swim teams, and water polo teams, visit www.cabq.gov/aquatics.